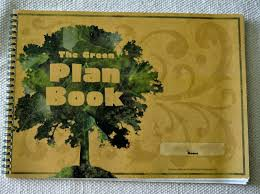 Make an earth-friendly statement with this 13" x 9.5" spiral-bound plan book. It includes 42 planning pages as well as pages for student information, conferences, substitute information, seating plans, birthdays, student transportation information, yearly planning, and a daily schedule. It is also printed on FSC-certified recycled paper.96 pages. From Carson-Dellosa.